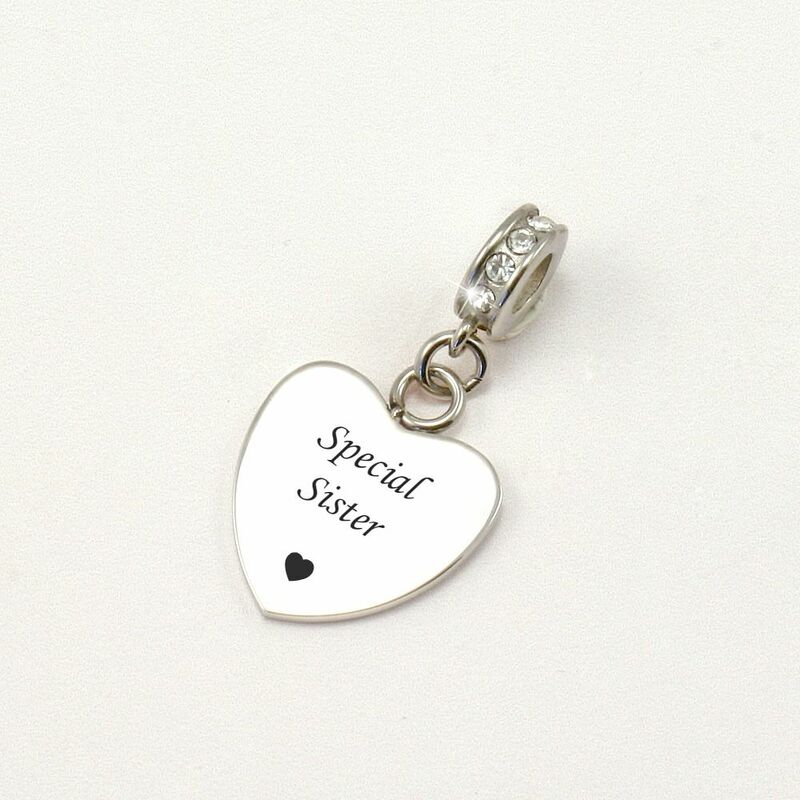 Engraved Special Sister Heart Charm for Bracelets. High quality stainless steel heart charm, suitable for Pandora bracelets and all popular snake chain bracelets. This bail features little crystals all the way around. Part of our range of Engraved Bracelet Charms. Perfect as a special gift for a special Sister. Heart Charm Size: 17mm x 17mm. All parts are high grade stainless steel. 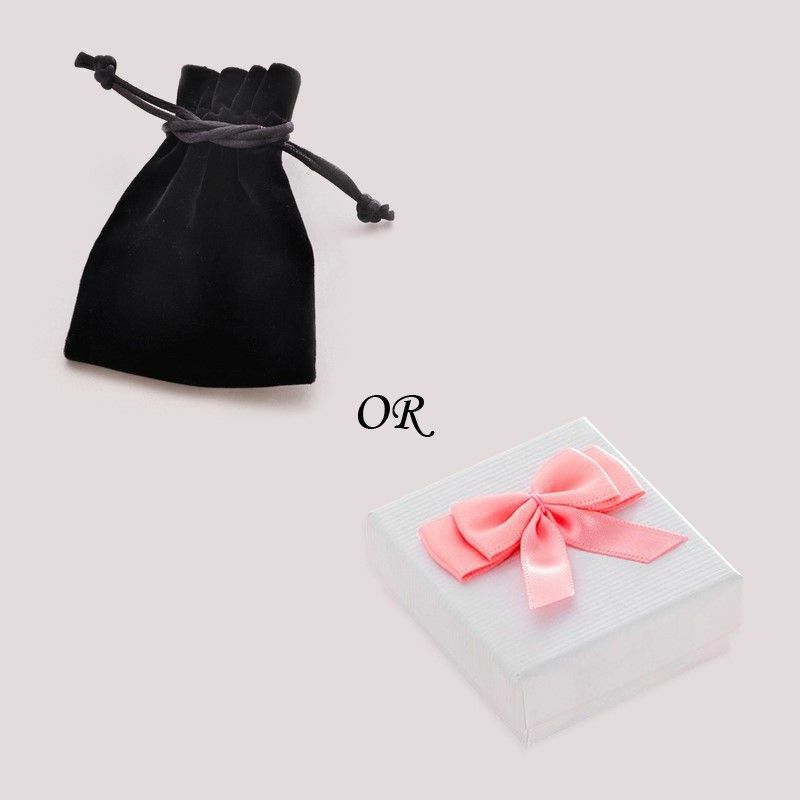 Comes packaged in either a luxury velour pouch or white gift box as shown. 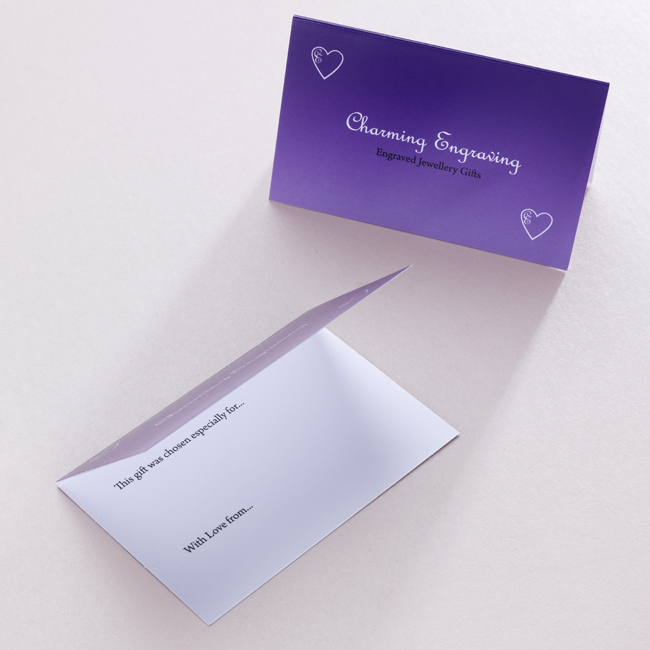 If you would like this charm engraved on both sides please visit our Charms with Personalised Engraving section.